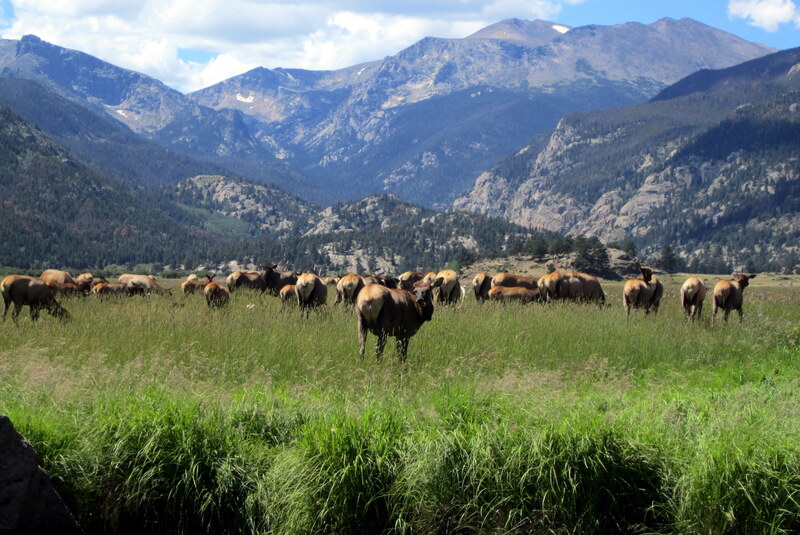 Over the last several decades, the Front Range of Colorado has been experiencing interacting agents of global change that may be driving the system toward full-scale transformation. Winter precipitation and nitrogen availability have increased (via climate change and increased anthropogenic nitrogen deposition), which may be responsible for the concurrent increase in exotic cool season plants that the region has experienced. The native black-tailed prairie dog, considered a keystone species in many intact grasslands, appears to be interacting with these new plant communities in unexpected ways by denuding the landscape and facilitating winter dust storms. Understanding how and why these changes are occurring is essential to making better land management decisions. With Drs. 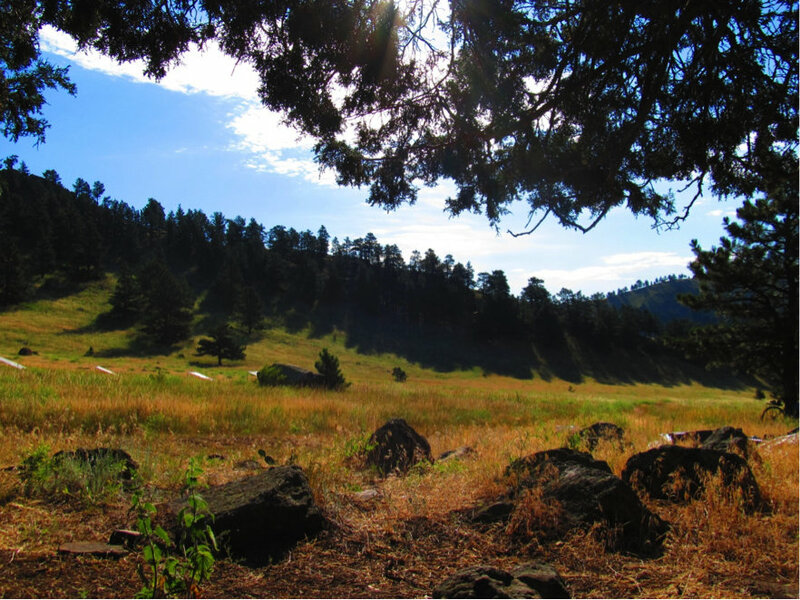 Tim Seastedt (University of Colorado, Boulder) and Jesse Nippert (Kansas State University), I am researching mechanisms that allow invasive species to become dominant in grasslands of the Front Range. 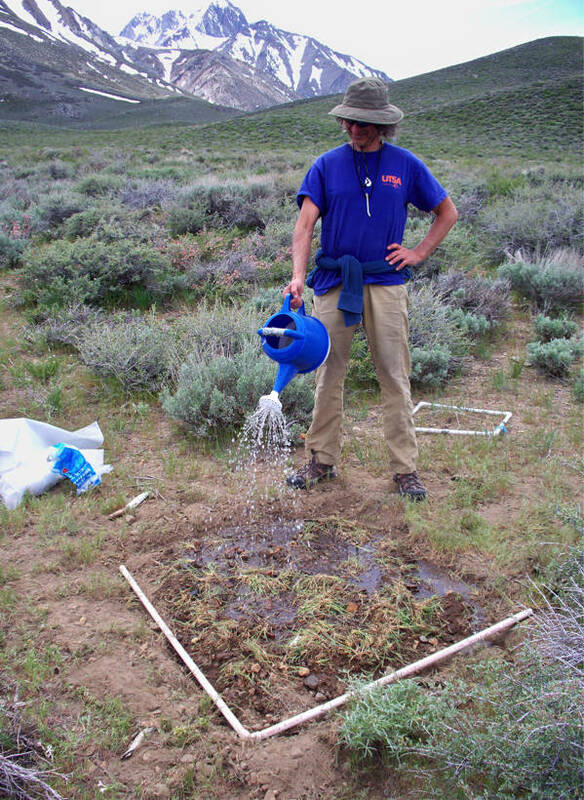 We set up a series of in-situ experiments (in which precipitation, nitrogen availability, and invader presence were manipulated) to test hypotheses about plant community response to changing climatic and edaphic conditions and to quantify competitive interactions between invasive and native plants under past, present, and future predicted conditions. In 2013, the region experienced an unprecedented precipitation event, which prompted us to ask a whole new set of questions about the combined effect of on-going global change drivers coupled with extreme events. Results from these experiments (coupled with studies on the role of prairie dogs in this altered landscape) will better inform land management in a time of rapid environmental change. We published one study in Ecosphere in 2015 on the short-term effects of the extreme event on this ecosystem, and we currently have two manuscripts in review (at J Plant Ecology and Oecologia) which present results from our 3-year global change study. We are continuing to monitor the long term effects of the extreme event on this system, both in our meadow site (in the context on ongoing global change drivers), and on landslides that occurred in a nearby canyon where we are testing hypotheses about community assembly and invasibility. Lastly, we recently set up rain-out shelters at this site as part of the large-scale Drought-Net experiment to test hypotheses about drought effects on ecosystems on a global scale. The invasive grass Bromus tectorum (cheatgrass, downy brome) has been called one of the worst invaders of the West for its role in transforming native sagebrush steppe ecosystems into invasive annual grasslands. It has become ubiquitous across the Great Basin Desert after displacing native plant communities and causing changes to the fire cycle. At the western edge of the Great Basin along the eastern escarpment of the Sierra Nevada range, B. tectorum is currently limited, most likely due to physiological constraints associated with cold winter temperatures and deep snowpack. However, predicted changes in climatic and edaphic conditions (due to climate change and anthropogenic nitrogen deposition) may facilitate upward range expansion. 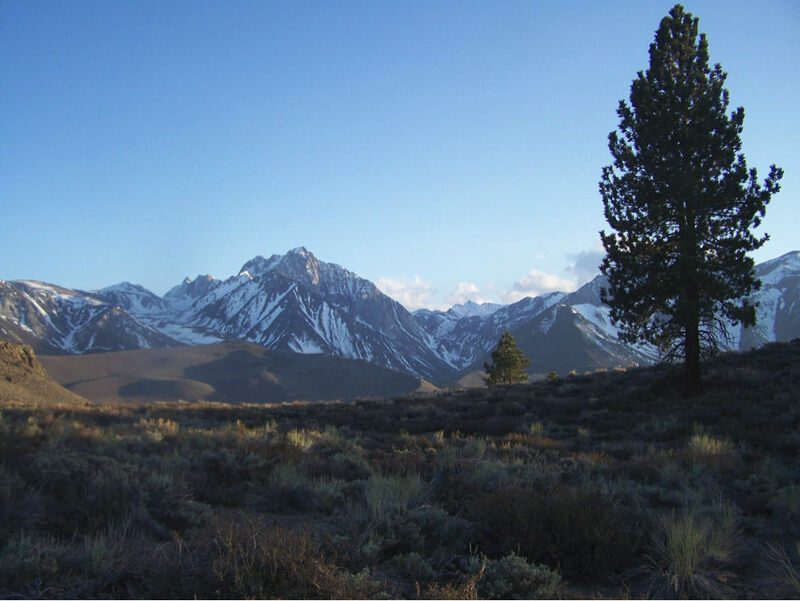 For my dissertation research, I worked with Dr. Michael E. Loik (University of California Santa Cruz) to set up a series of manipulative experiments to determine how global change might affect the spread of B. tectorum in the eastern Sierra Nevada. 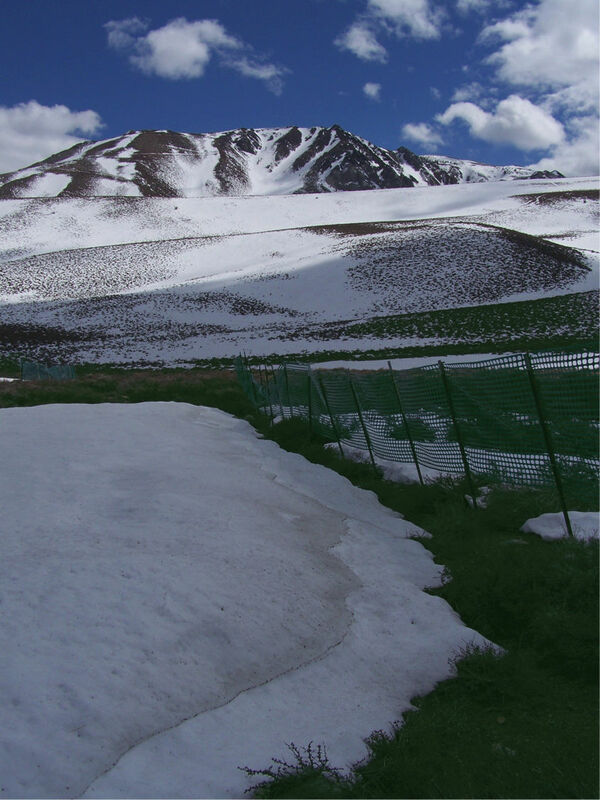 We focused on changes in snowpack (using snow fences to simulate areas of increased and decreased snow), spring rainfall (using irrigation to simulate storms of different frequency and magnitude), and increased anthropogenic nitrogen deposition (by adding 0, 5, or 10 g N m-2 annually to plots). Results from this work were published with Drs. M.E. Loik and J. Belnap in Global Change Biology. With Dr. Alden Griffith (Wellesley College), we are continuing to monitor B. tectorum populations in response to natural interannual variations in snowpack and simulated increases and decreases in snow. The project has amassed 10 years of data. We anticipate that this long-term empirical dataset may provide new insight into how the interaction of temperature and snowfall affects B. tectorum population growth at high elevation. Increases in nitrogen (N) emissions and deposition have been occurring throughout the western U.S. over the last half-century as a result of industry, agriculture, and transportation. Plant responses to excess N can vary by functional type or species, and increased N can consequently be associated with changes in species composition. Fast-growing plants, such as invasive species, often respond to N additions with the largest increases in productivity because they can more readily take advantage of excess resources. Consequently, increased N deposition can facilitate the invasion of non-native plants and the loss of native flora and associated fauna. Although much research has investigated the ecological effects of N deposition on plant communities, there is a particular lack of understanding in arid and semi-arid systems. Studies conducted in western US deserts have shown that increased N deposition can increase the dominance of invasive annual plants. As a PhD student, I started a manipulative experiment to look at how plant communities in the eastern Sierra Nevada might change with increased N deposition with a focus on dominance of the invasive annual grass, Bromus tectorum. Early results from this work (after the first 4 years) were published with Dr. M.E. Loik in Applied Vegetation Science. Although we measured no change in plant community composition in response to elevated N thus far, we suspect that shifts might occur during years of high precipitation since plants in this system are probably more limited by water than nutrients. We are continuing to monitor these same plots over the longer term to test this hypothesis. Plants affect the microbial community directly around the root zone, in the rhizosphere, and can subsequently have indirect effects on decomposition in the bulk soil. Rates of decomposition may be increased or decreased in the presence of plants compared to unplanted soils through the process of rhizosphere priming. Because of differences in priming between plant species, it is likely that exotic plant invasion could lead to altered decomposition rates compared to uninvaded areas. There is much evidence that exotic plants do indeed affect nutrient cycling and decomposition, but there have been few studies that have examined the magnitude or direction of their rhizosphere priming effect (RPE). My research focus has been on Bromus tectorum, an annual invasive grass. There is evidence that invasion by this species may result in higher nitrogen availability, potentially creating a positive feedback for its own spread since fast-growing exotics like B. tectorum often outcompete natives under conditions of elevated nitrogen availability. Research on how invasive species, like B. tectorurm, affect RPE could help explain mechanisms behind invasion patterns and impacts. Working with Drs. 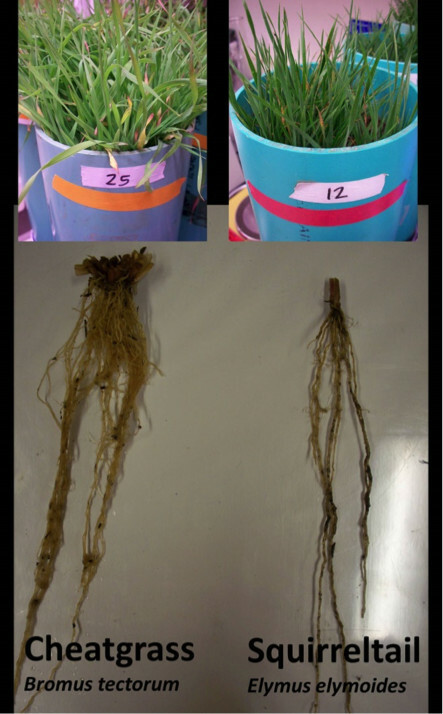 Weixin Cheng (University of California Santa Cruz) and Thiago Vargas (Universidade Federal do Paraná, Brazil), we conducted a greenhouse experiment to determine how Bromus tectorum affects soil nitrogen cycling and RPE in the presence of native bunchgrasses in invaded and uninvaded soils. We published this work in Plant and Soil in 2015. Invasive species biologists often think primarily about feasibility of control in terms of ecological effectiveness. In reality, invasive plant managers working on public lands have broader definitions of feasibility which might include logistical, social, economic, or regulatory considerations, among others. Interdisciplinary research is critical for developing effective invasive species management approaches. I have worked in close collaboration with an environmental law and policy analyst, Dr. Zdravka Tzankova (Vanderbilt University), to address these kinds of concerns. 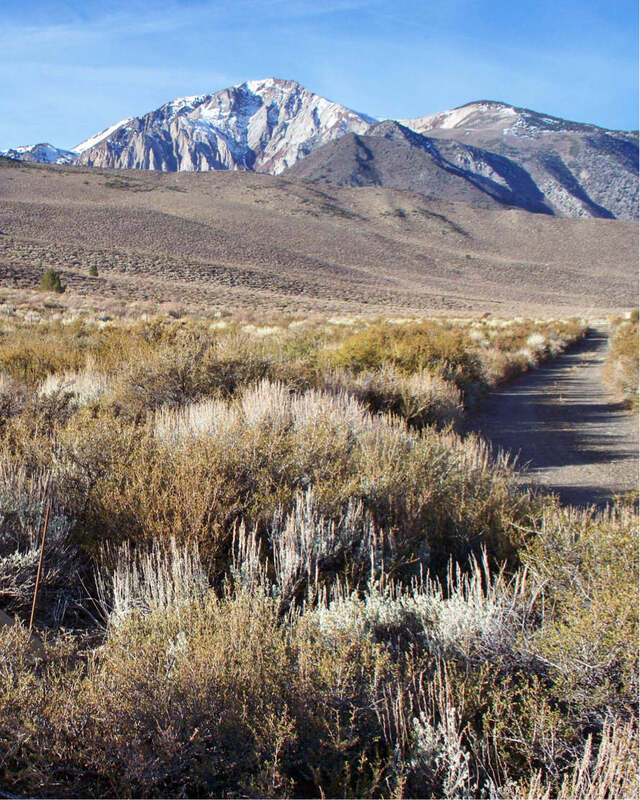 In 2012-13, Dr. Tzankova and I evaluated the feasibility of control of Bromus tectorum, a non-noxious invasive species, in the eastern Sierra Nevada, CA from an interdisciplinary perspective, using my knowledge of the ecology of the system coupled with her expertise with social science analytical tools and extensive knowledge of US regulatory and legal frameworks. We conducted semi-structured interviews with public land managers in the region and an in-depth analysis of relevant state and federal legislation and policy as well as agency management plans that affect invasive plant control. Our aim was to evaluate barriers and opportunities for B. tectorum control in the region, which could also be applied to widespread non-noxious invasive species more broadly. Indeed, we found that many of our results were not unique to B. tectorum, but apply more broadly to invasive plant control on public land in California and probably at the national level. Our results were published in the journal Biological Invasions and made available to land managers in the region. Some of this work was also featured in an article I wrote for the journal Fremontia (May 2013), which is read by professional and amateur botanists and land managers in California. We are now working on testing some of our same hypotheses about challenges to management of non-noxious invasive species at the national scale. At the edge of many exotic plant invasions, outlier infestations exist that can facilitate spread by acting as seed sources to uninvaded sites. Targeting these patches for eradication while they are relatively small in size could significantly reduce the associated long-term costs and impacts of the invasion. My research has evaluated control techniques for eradicating outlier patches of the invasive annual grass Bromus tectorum in the eastern Sierra Nevada, CA, at the high elevation edge of the invasion. I compared both ecological effectiveness (through in-situ field experiments) and associated costs (by recording time, labor, and materials costs) of soil solarization, mulching, and hand pulling followed by seedball and broadcast seeding. Results from this study were published in Invasive Plant Science and Management and made accessible via outreach activities to practitioners in the region. I am now interested in evaluating techniques for maintaining and/or enhancing ecosystem services in more heavily invaded parts of its range where eradication is not an option.